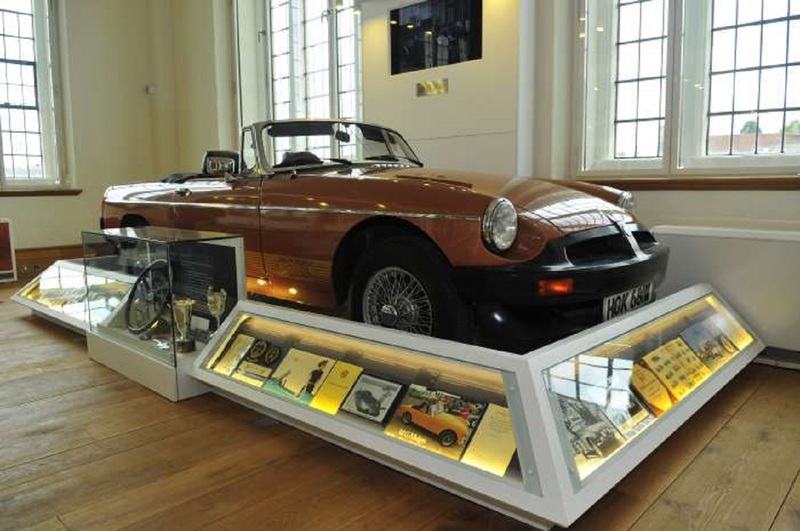 Not a Motor Museum but the Abingdon County Hall Museum have on display one of the last MGB sports cars made It is on loan from British Motor Heritage. The County Hall, completed in 1682, is on the south side of Abingdon Market Place. It was built by stonemason Christopher Kempster, who worked with Sir Christopher Wren on rebuilding churches in London after the Great Fire of 1666. Originally used as a courtroom for the Berkshire Assizes, the County Hall has also been a venue for entertainment and since 1761 the venue for the traditional ‘bun throwing’ to commemorate royal events. A museum was first set up in the building in 1919. The museum re-opened in 2012 after extensive building restoration work and redisplay of the museum collections as part of a Heritage Lottery Fund project.